Former Zanu PF secretary for Administration , is embroilled in a nasty fight to control two schools Didymus Mutasa, in Inyanga so that he can pocket US$150-000 annually in fees, and has since directed school officials to pay rent to him. Mr Mutasa, who is reported to have hit hard times, recently wrote to the school officials informing them that Nyafaru Primary and Nyafaru Secondary schools in Kairezi Range, under Chief Tangwena on the border with Mozambique, belong to him. The schools are a cash cow considering that they have a combined enrolment of 776 pupils. Of these pupils, 511 are at Nyafaru Secondary, which offers boarding facilities at $360 a term, while day scholars pay $60. The primary school has an enrolment of 265 pupils and each child pays $20 a term. The fees translate to close to $50 000 a term in fees and $150 000 a year. Documents in possession of The Herald show that the schools belonged to Nyanga Rural District Council after Nyafaru Development Company (Pvt) Ltd, a company linked to Mr Mutasa, donated them to the community. In a letter to the Manicaland Provincial Education director dated December 10, 2004, the company, through its managing director Mr Pearson Kasu, relinquished the schools to Nyanga Rural District Council following pressure from the Tangwena community. “This letter replaces our letter of 23 October 2004,’’ wrote Mr Kasu. ‘’It is also a response to your letter of 5 October 2004 in which you requested through Nyanga Rural District Council that the company should write a letter of accepting to relinquish its authority over the two schools to Nyanga Rural District Council. Mr Mutasa is the chairman of Nyafaru Development Company whose directorship includes his wife Mrs Getrude Mutasa, Mr John Deary and Mr Pearson Kasu. Nine years after the firm’s letter of relinguishing the schools, Mr Mutasa, through his lawyers, wrote to the Manicaland provincial education director reclaiming them. Reads his letter dated February 2013: “We represent Nyafaru Development Company (Pvt) Ltd, the responsible authority for the above captioned schools (Nyafaru Primary and Secondary). Lawyers that represented the Tangwena community in the matter at the time wrote to the provincial education director for Manicaland contesting the decision by Mr Mutasa and Nyafaru Development Company to re-take the schools that are situated on several hectares of fertile land. “Our response on behalf of our clients is simple and crystal clear and is to the effect that the contents of the letter that was written to you are not true and are meant to mislead you,’’ said the lawyers. 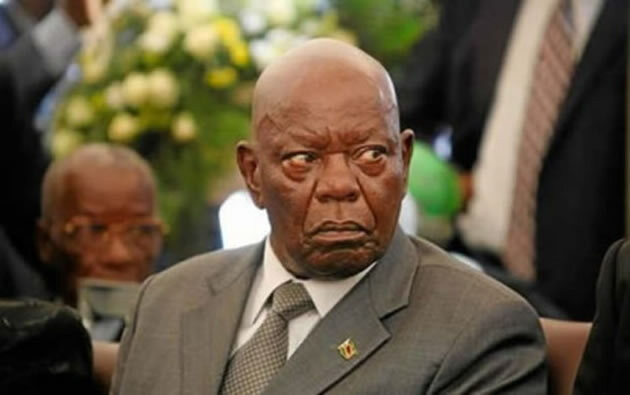 Using Nyafaru Development Company as cover, Mr Mutasa wrote to Nyafaru Primary and Secondary schools demanding payment of close to $200 000 in what he termed rental arrears. Reads his letter dated March 24, 2015: “We act for Nyafaru Development Company (Pvt) Ltd and are advised as follows: Our client is the owner and responsible authority of Nyafaru Secondary School, charged with the establishment, maintenance and administration of the school and owns land and buildings on which the school is situated. The lawyers said Nyafaru Development Company was justified to seek rentals as it was the lawful owners of the land and the schools. “In this light, we hereby demand: the total of US$150 000.00 which is rentals from the 1st of January 2009 to March 2015, they said. Another letter was written to Nyafaru Primary School demanding payment of over $15 000 in rentals. The documents in The Herald’s possession show that Mr Mutasa interferred with the running of the school using his political muscle before he was kicked out of Zanu-PF and Government. At one point, he wrote to then Education and Culture Minister Aeneas Chigwedere seeking the dismissal of Nyafaru Secondary School headmaster Mr Bernard Maoko not only from the school, but employment as well. In a letter bearing a Zanu-PF letterhead, Mr Mutasa wrote: “I refer to our previous correspondence and discussion about the removal of Mr Bernard Mawoko from the headmastership of Nyafaru Secondary School. The Tangwena community has vowed to fight Mr Mutasa to the end. Mr Mutasa was not immediately available for comment. ‘We Will Now Install Tollgates In Urban Centres , If You Dislike Them, Don’t Come To Town!’-Obert Mpofu.